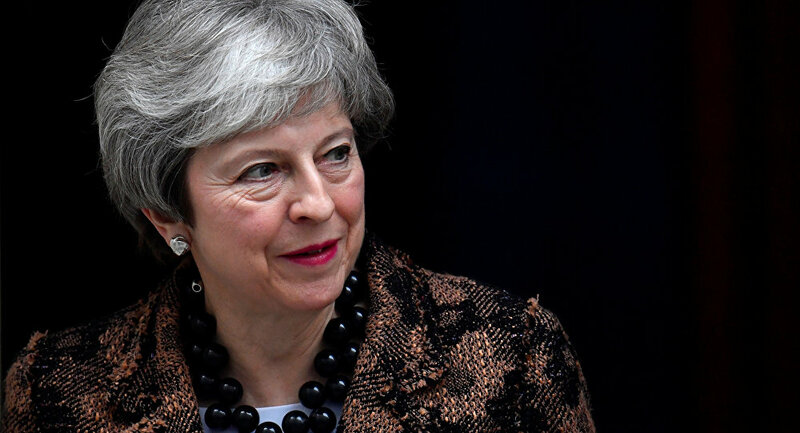 LONDON (Sputnik) – UK Prime Minister Theresa May will call on EU leaders, during an upcoming meeting in Brussels, to introduce changes to the terms of the Brexit agreement, concerning the Northern Ireland backstop, the prime minister’s office said in a statement. On Thursday, May will meet with European Commission President Jean-Claude Juncker and EU Council President Donald Tusk in the Belgian capital. Both EU politicians have said that the Withdrawal Agreement is not subject to renegotiation between the United Kingdom and the European Union. "The UK’s objective is to find a way to guarantee we cannot, and will not, be trapped in the backstop. The Prime Minister is open to different ways to achieve this, but is clear it must be legally binding and therefore will require changes to the Withdrawal Agreement," the prime minister’s office said in a statement on the key messages May is supposed to deliver during the Brussels meeting. "To achieve this we have launched urgent pieces of work examining alternative arrangements to the backstop, and considering legal changes to the current backstop that could provide the type of guarantees MPs from all sides have said they need. The Government now wants urgently to work with the EU to secure such changes," the statement read. May’s office recalled that UK lawmakers had made clear they would back the deal in case changes to the Northern Ireland backstop are made. Moreover, parliamentarians had expressed their support for avoiding the hard border and leaving the European Union with a deal, the statement read. "The EU shares the UK’s commitment to leave with a deal. We must show determination and do what it takes to now get the deal over the line. The meetings today are part of a process leading to the government bringing back the Meaningful Vote [on the Brexit deal in the parliament] as soon as possible," the statement pointed out.